Since Windows 10 Creators Update, the addition of blue light filter option is one of the most important updates in the lifetime of this operating system version so far. 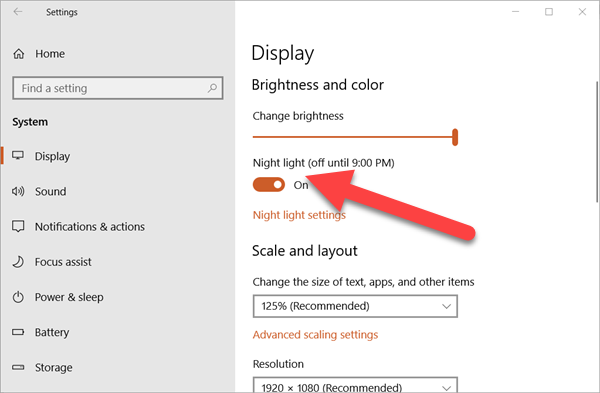 Through this feature, Windows 10 computer is able to reduce its impact on your eyes and sleeping pattern. 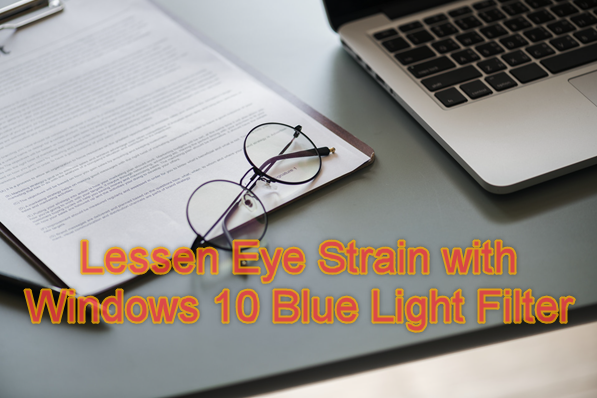 This tutorial will help you understand more on how to properly use Windows 10 blue light filter. The light that your Windows 10 device emits is made up of the different shades that make up the spectrum. Of these colors, the blue light rays have the shortest wavelength and highest energy. With blue light filter, however, we can reduce it just like remove imperfections from a photo, and get the following benefits. But most importantly, blue light exposure messes up your circadian rhythms. This results in the disruption of your sleeping pattern. You could be having trouble sleeping in the right schedule, which will be followed by stress and sleep deprivation. Blue light exposure also results in reining in the effects of melatonin. This hormone induces sleep and has an integral role in maintaining your circadian rhythm. Exposure to blue light is only harmful during the night or in the dark. In fact, blue light can be beneficial especially when it comes from the sun. This is due to the fact that the blue light helps regulate the body’s sleep pattern by maintaining a particular schedule. During the day, blue light also improves cognitive functions and memory while boosting your mood. It is what keeps a person awake and more energetic during the day. The high amount of energy of the blue light rays has a negative effect on your body. Notice that your eyes become watery after long exposure to your computer? This is due to the strain the blue light brings to your eyes. It may also result in macular degeneration, which could mean vision loss. The blue light filter is also incredibly useful if you have children and teenagers who are already using computers and other gadgets. This will protect their eyes from damage. This is especially their macular pigment is not yet sufficient until they reach around 9 years old. The macular pigment acts as the natural blue light filter of their eyes. If you have been using your computer for more than six hours already, you may want to turn on your blue light filter function. Digital eye strain could result in tired eyes and headaches. It can even become permanent if you do not act immediately. Use blue light filter as much as possible. Only those who run Windows 10 Creators Update and above will be able to use the Blue Light Filter feature. If you have not received updates on your computer, please check if you have disabled Windows 10 auto update, then read these instructions to run available updates. Go to Settings on your Windows 10 device. Click Update & security. Find Advanced options. Try to locate the Get Insider builds section. Find Choose how you get your Insider builds and change the setting from Slow to Fast. Run a Windows Update through tapping Check for updates. Wait for a few minutes for the computer to finish the downloading and installation process. Go to the Settings > System on your Windows 10 device. Look for Display. Click on it. You will see that there is a toggle under Night light. Turn it on. There are further options that you can choose from if you want. Just go to Night light settings. In the page that will show, you can set the color temperature and automatically schedule the lowering of the display’s blue light here. 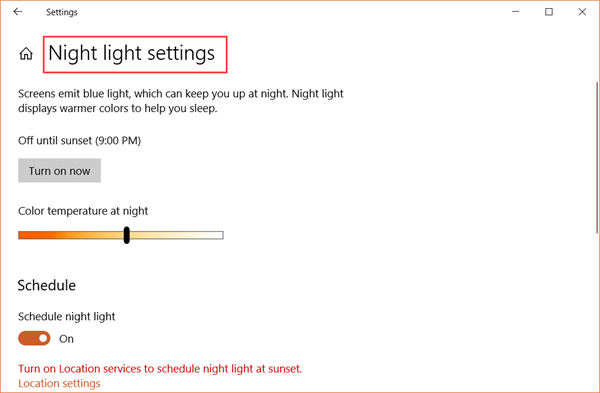 Once Night light is enabled, the computer will show warmer colors within scheduled time. You will be surprised with the wonderful effect. There is no need to use third-party tools like f.lux just to protect yourself from the Blue Light that your computer emits. You can also try night mode on Android mobile phone. Windows 10 has been optimized with more and more awesome features. However, it is also very common to see people lose precious files from Windows 10 computer due to mistake or accident, which is a huge pity. Luckily, with a good file recovery software, it is actually possible to recover lost files from Windows 10 computer. Have you already tried out the blue light filter feature? Share what you think about Windows 10 Blue Light Filter or Night light in the comments.